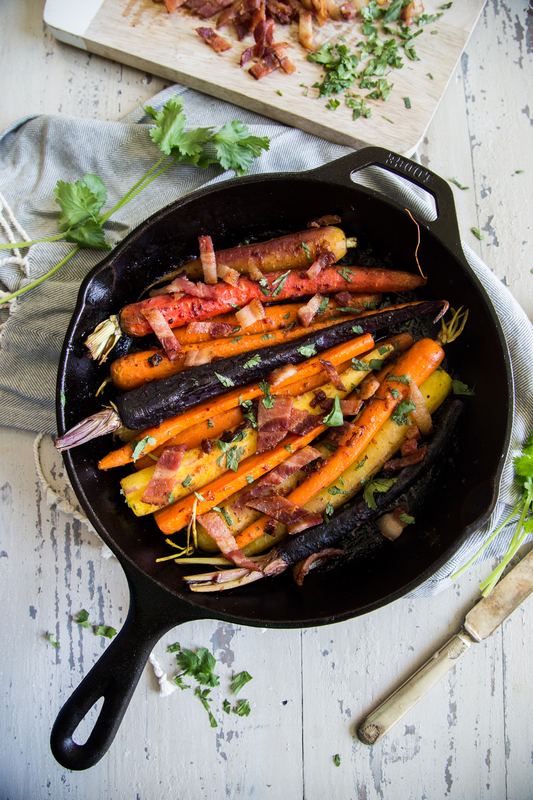 Sweet and spicy gochujang and bacon carrots are an excellent side dish to any meal, with fresh garlic, ginger and crispy bacon! Made all in one skillet means no added dishes for you either! When I find a veggie dish I like, I have a tendency to make it on repeat. This is definitely one of them. 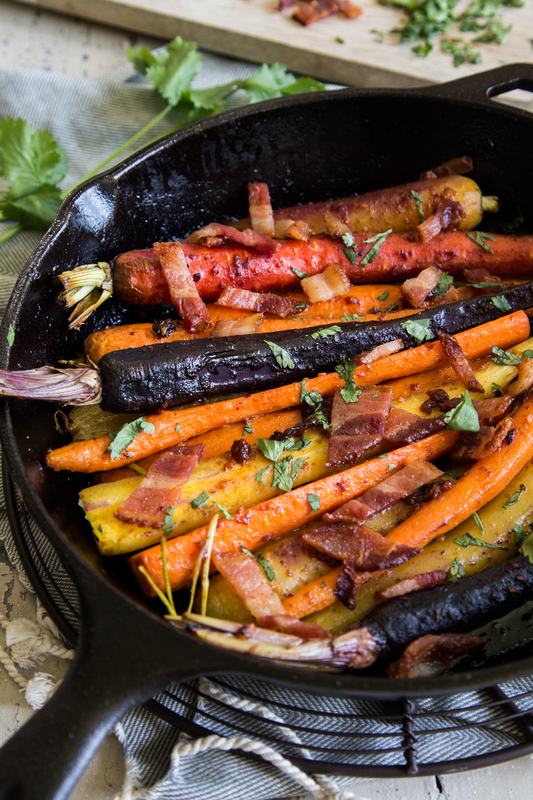 I’m buying bags of rainbow carrots repeatedly and uncured bacon so that I have an excuse to make these Sweet and spicy gochujang and bacon carrots. They are so simple. The original recipe for these comes from my blog friend Heather’s cookbook Pure Delicious. I was reading through her book and was flagging each recipe I could make that would be Whole30 compliant for when I do another round in June. There were a couple ingredients I didn’t have, so I modified it with the spicy sauces I had on hand. If you can’t find the gochujang that I used, Sriracha will work great, too! 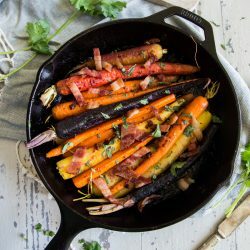 The carrots are so pretty on a dish, and with this recipe being made in a single cast iron skillet, it works as a cook piece, and serving dish! Cast iron doesn’t have to be for just meat and skillet cookies HA! 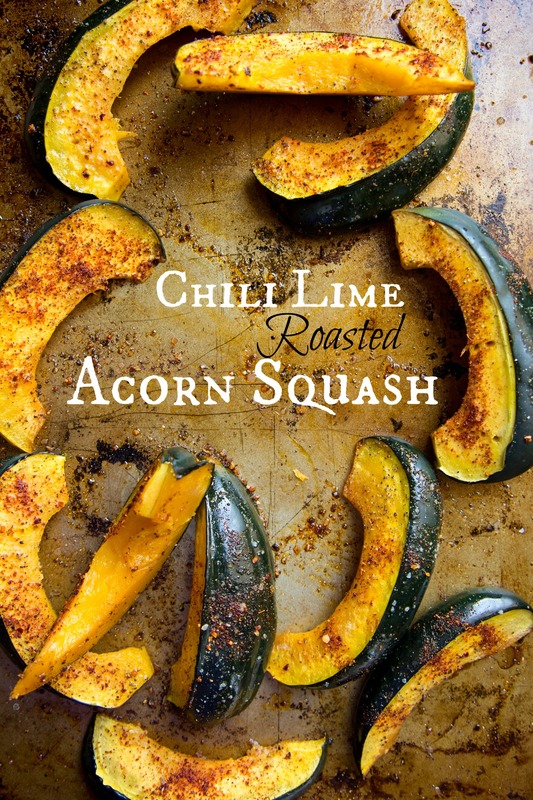 How have you enjoyed making veggies in a new way? Ben is perfectly content to eat a bag of frozen mixed vegetables any day of the week, but I just CAN’T! I need that variety and mix of fresh and fun flavor combos to keep myself sane. 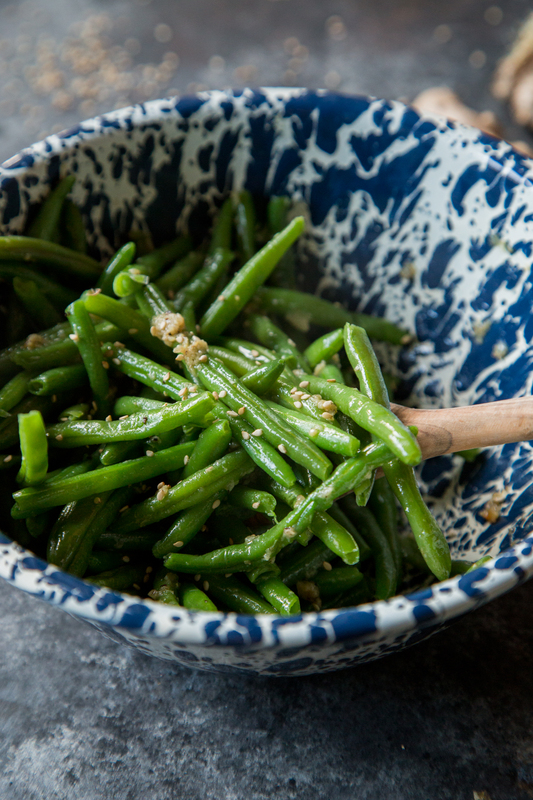 Here are a few other veggie dishes to keep you inspired in your healthy eating quest! In a oven safe skillet, cook bacon until done, and crispy. Place on a paper towel lined plate to drain. In the same skillet, removed all but 2 Tbsp of the bacon grease. Add in olive oil if needed to make up enough grease to cover the carrots. Into the grease, and olive oil, add in the gochujang, garlic, ginger, salt and pepper to taste, and honey (if using). Whisk and create a sauce. Toss the carrots in the sauce until they are completely coated. 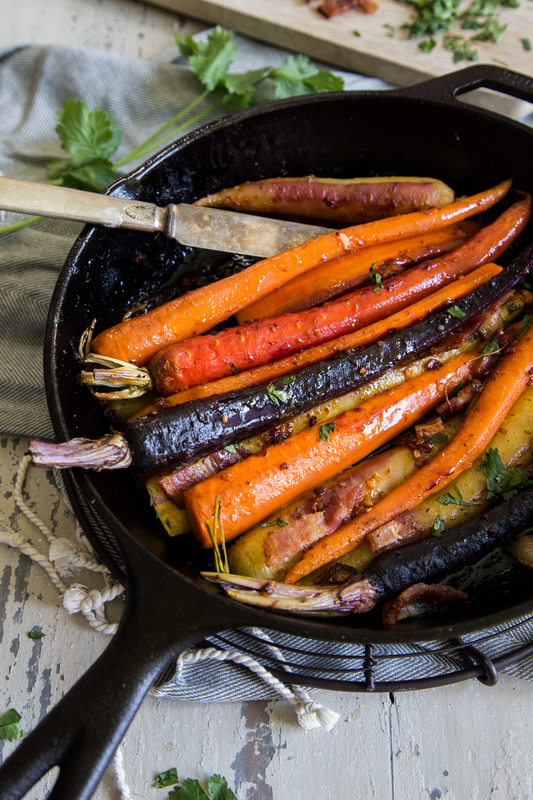 Place the whole skillet of carrots into the oven and roast for 20-30 minutes, depending on the size of the carrots, until they are crisp-tender. Toss the carrots one last time in the sauce to ensure they are evenly coated. Sprinkle with chopped up bacon, and cilantro prior to serving.